Home Money Can You Cancel A Cashier’s Check? Can You Cancel A Cashier’s Check? We have hundreds of ways we are able to send and receive money. Many people choose to go the easier electronic route setting up recurring bill payments or sending it via any digital wallet. But, for the people most people the best way for them to send money is by check. Some use regular bank checks, others use traveler’s checks, but for big ticket items, you should use cashier’s check. Cashier’s checks are great for when you finally take the plunge and move out of your childhood home. If you want to use cash, the check essentially allows you to pay a large lump sum. 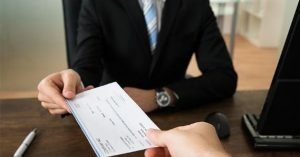 Even though it is a check you are not able to the same things as you would with your personal checks. For example, if you were to send a check and decide to cancel it your bank would be able to do that fairly quickly. For cashier’s checks, it is not that easy. 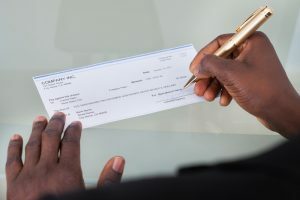 Simply put, you are not able to stop payment on a cashier’s check once it is sent. While it is not an easy task to do, you are able to essentially “cancel” your cashier’s check if you find the right loophole. Even though we are calling them loopholes they are completely legal and you should use them if you need to. After all the paperwork is done the money is still yours, and you should be able to get it back. If you decide not to use the check, you are able to return it to your bank. Say you are looking to buy a new home and the current homeowner has decided to go with another candidate. Usually, if you are trying to buy a new home you most likely will need to put down a deposit. However, if you have a check that is not going to be used you are able to return it to your bank. You will likely have to void the check to do this. Most of the time if your bank is lenient, you will be able to have your unused funds transferred back into your account. You may receive some push back since, once issued, cashier checks are not generally accepted. If that happens you could ask the manager for help solving your problem most of the time they will be able to help you. If the manager cannot offer you any help you could always open up a new account and deposit your money there. Do not panic if you lose your cashier’s check. We understand here at Critical Financial that human error is a common thing. People misplace things, why would a cashier’s check be any different? Error aside, if you do accidently misplace your check your bank should be able to help you cancel payment before someone takes your money without your permission. 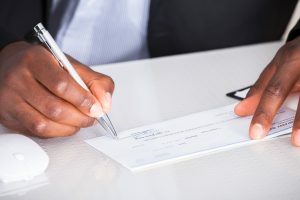 If you have had your check stolen, or you misplaced it, you are required to file an official declaration of loss with your bank. Once done you have a formal form of proof, your bank will have to investigate your claim. After that happens you will likely have to wait about 90 days from when you lost the check or 90 days from when you made your declaration. If everything is filed correctly and you are willing to wait you should have your money returned to you. © 2012 to 3849 Critical Financial. All rights reserved.